This part generally fits Chevrolet vehicles and includes models such as HHR with the trims of. Steering Shaft. 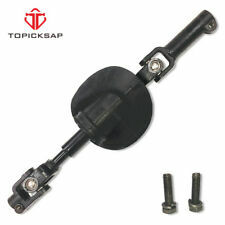 This part fits vehicles made in the following years 2006, 2007, 2008, 2009, 2010, 2011. Very appreciated for your support. 1 Power Steering Rack and Pinion - Rack 2040. Rack and Pinion Specifications. 2 New Wheel Hub and Bearing Assemblies - 513206. 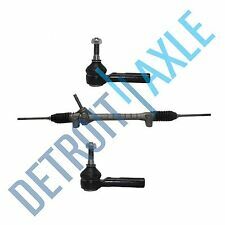 2 New Outer Tie Rod Ends - ES800030. ABS on Hub: Yes. Steering Type: Electric Assist. This part generally fits Chevrolet vehicles and includes models such as HHR with the trims of. Steering Shaft. This part fits vehicles made in the following years 2006, 2007, 2008, 2009, 2010, 2011. Anyway ,by nice communications ,we can find a way to make you satisfied. 1 Power Steering Rack and Pinion - Rack 2040. Rack and Pinion Specifications. 2 New Wheel Hub and Bearing Assemblies - 513206. ABS on Hub: Yes. Hub Specifications. CHEVROLET COBALT 2005-2010 W/ FE1 OR FE3 SUSPENSION W/ ABS. HHR 2008 -2010 Power Rack and Pinion; LT, sport ride suspension system (opt FE3). HHR 2011 -2011 Power Rack and Pinion; sport ride suspension system (opt FE3). CHEVROLET HHR [STEERING_GEAR/BOX] Power Rack and Pinion; LT, sport ride suspensi. It mounts in between the Upper Steering Shaft and Steering Rack. HHR 06-07 Floor Shift. HHR 08-10 Floor Shift; exc. Trending at $138.12eBay determines this price through a machine learned model of the product's sale prices within the last 90 days. Fast & Free Shipping! We Appreciate Your Business!! LKQ SKU: LKQ390 ~185731139 STG00147. This is NOT a manufacturer part number, and can be disregarded. 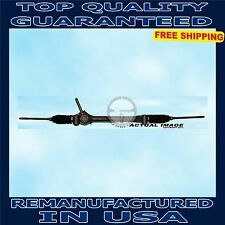 Chevrolet HHR 2011-2011 Power Rack & Pinion; soft ride susp (opt FE1). Chevrolet HHR 2006-2010 Power Rack & Pinion; LS. Part Number: 25956915. Interchange Part Number : 25956915, EV80445, ES80445, 23-1008. Part Numbers: 23-1008, 25956915, ES80445, EV80445. This part generally fits Chevrolet vehicles and includes models such as HHR with the trims of Comfort LT Wagon 4-Door, Elegance LT Wagon 4-Door, LS Panel Wagon 2-Door, LS Wagon 4-Door, LT Panel Wagon 2-Door, LT Wagon 4-Door, SS Panel Wagon 2-Door, SS Wagon 4-Door. Part Number: 25956916. Interchange Part Number : 25956916, 23-1814, A731937, 29024322. Part Numbers: 23-1814, 25956916, 29024322, A731937. This part generally fits Chevrolet vehicles and includes models such as HHR with the trims of Comfort LT Wagon 4-Door, Elegance LT Wagon 4-Door, LS Panel Wagon 2-Door, LS Wagon 4-Door, LT Panel Wagon 2-Door, LT Wagon 4-Door, SS Panel Wagon 2-Door, SS Wagon 4-Door. HHR 2011 -2011 Power Rack and Pinion; soft ride suspension system (opt FE1). HHR 2008 -2010 Power Rack and Pinion; LT, soft ride suspension system (opt FE1). CHEVROLET HHR Steering Gear/Box Power Rack and Pinion; LT, soft ride suspensio. LKQ SKU: LKQ754 ~189687919 STG00147. This is NOT a manufacturer part number, and can be disregarded. Chevrolet HHR 2011-2011 Power Rack & Pinion; soft ride susp (opt FE1). Chevrolet HHR 2006-2010 Power Rack & Pinion; LS. LKQ SKU: LKQ720 ~209019397 STG00148. This is NOT a manufacturer part number, and can be disregarded. 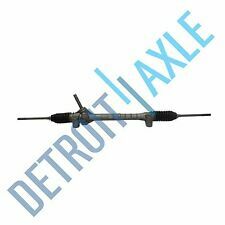 Chevrolet HHR 2011-2011 Power Rack & Pinion; Spt susp (opt FE3). Chevrolet HHR 2006-2007 Power Rack & Pinion; LT.
No photos of the actual item are available. LKQ SKU: LKQ701 ~209178081 STG00148. We do our best to prevent these issues from happening and apologize for any inconvenience it may cause. Chevrolet HHR 2011-2011 Power Rack & Pinion; Spt susp (opt FE3). Part #: 25956915. No local pickup option available. WARRANTYWarranty Duration: Other. HHR 2011 -2011 Power Rack and Pinion; soft ride suspension system (opt FE1). HHR 2008 -2010 Power Rack and Pinion; LT, soft ride suspension system (opt FE1). CHEVROLET HHR [STEERING_GEAR/BOX] Power Rack and Pinion; LT, soft ride suspensio. HHR 09-10 Floor Shift; exc. Cardone 1C-18010M Chevrolet Cobalt 2010-05, Hhr 2011-06; Pontiac G5 2010-07, PuCardone 1C-18010M. Public Forums. Need to make a change?. Disclosure of Information Policy. Your credit card information is encrypted while traveling the Internet. Our goal is to exceed your expectations. And we’ve built a system to do just that. PartsHawk – Millions of Parts. WARRANTYWarranty Duration: 1 Year. Part Number: 25956916. GM Parts Xperts is your source for all things OEM. Your vehicle deserves the best accessories. You can not beat genuine factory made accessories for your car, truck or suv! Model: CHEVY HHR. CHEVROLET HHR 09-10 Floor Shift, exc. Steering Column. Part Grade Abbreviations. cc = Credit Card size units. C = Greater than 200k miles. B = Greater than 60k miles and less than or equal to 200k miles but greater than 15k miles per year. Maval 94318MMaval 94318M. Public Forums. Need to make a change?. Disclosure of Information Policy. Your credit card information is encrypted while traveling the Internet. For their protection, we ask that children do not submit information to us without the consent of a parent or guardian. 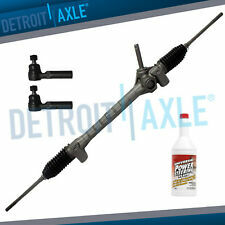 Chevrolet HHR 2011-2011 Power Rack & Pinion; soft ride susp (opt FE1). Chevrolet HHR 2006-2010 Power Rack & Pinion; LS. Chevrolet HHR 2008-2010 Power Rack & Pinion; LT, soft ride susp (opt FE1). Vehicle Model: HHR.